For our commentary on the year ending December 31, 2018, please click "download". For our commentary on the quarter ending September 30, 2018, please click "download". For our commentary on the quarter ending June 30, 2018, please click "download". We are pleased to announce that Carol M. Lippman, CFA, Michael B. Andelman and Richard R. Seitz have acquired the ownership of Dearborn Partners LLC’s Class A shares from its founding partners: George Jameson, Wayne Stevens, and the Jerome E. Hickey Trust, on January 1, 2018. 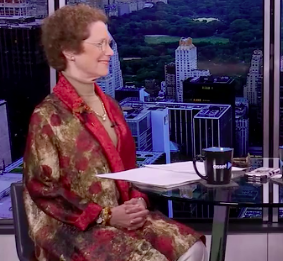 Watch Carol Lippman, co-portfolio manager, discuss the role of dividend investing with Liz Claman of Asset TV. CHICAGO--(BUSINESS WIRE)--Dearborn Partners, an independent Chicago investment management firm, has added accomplished investment manager Peter J. Deakos, CFA, to its team, strengthening its already successful investment management expertise and capabilities. CHICAGO, January 23, 2017 – Co-managed by Carol M. Lippman, CFA and Mike Andelman, the Dearborn Partners Rising Dividend Strategy was launched in September of 2011 and has recently surpassed $2 Billion in assets under management. 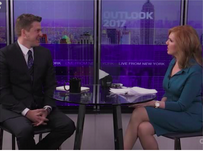 Watch Mike Andelman, co-portfolio manager, discuss the role of dividends in today's market environment with Liz Claman of Asset TV. April 18, 2019 - ONEOK, Inc. recently increased their dividend. For the announcement and our thoughts, please click "download".